Our Windows and Door Manufacturers. We use these products for installing windows and doors. Doors and windows are more than just basic necessities of doing up a house. They work as the perfect accessory for your home that complements the rest of its décor. 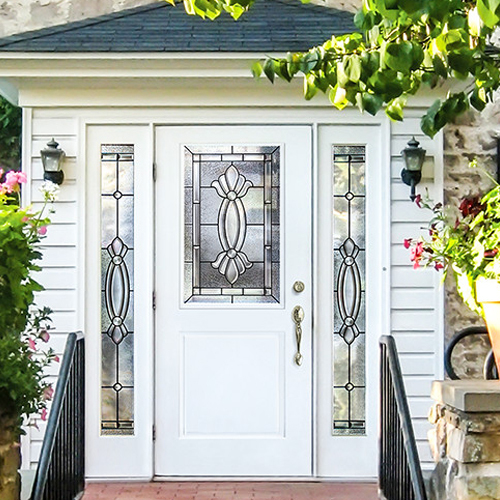 A beautiful door adds substantially to the charm of your home; well placed and nicely styled windows bring out the best in your home from both, the interiors and exteriors. At Santa Clarita Window Experts, our trained and polite professionals will help you invest wisely in these essentials so they can enhance the beauty as well as functionality of your home. Well-placed and adequately sized windows can fill your home with positive vibes by letting in good amount of sunlight and fresh air. And, when they are aesthetically designed, windows add a touch of glam to both the interior as well as facade of the house. At Santa Clarita Window Replacement Experts we take the windows very seriously. We have a charming collection of all contemporary window styles by best manufacturers such as JT Windows, Lincoln Windows and El&El Wood Products et al. Based on function and aesthetics, you can choose from numerous styles of windows we have. A sturdy door provides you security and protection, keep your home insulated and allows you your privacy. At Santa Clarita Windows Experts, we have an amazing collection of doors that also add to the charm and allure of your home. Here's a glimpse of the styles we have by reputed door manufacturers like Milgard, Anlin, Pella, Ply Gem and more. Take a look at the following to determine your best match. Casement windows are very simple in construction – they swing on a hinge. They are also fairly easy to open and close. If you want a window that opens up wide and lets you enjoy fresh air and sunlight to the brim on those good weather days, casement windows will serve you perfectly well. Santa Clarita Window Replacement Experts can do quick and flawless installations of casement windows for you. Whether you are putting up windows in your new home or replacing your old windows for something sturdy yet chic, we will exceed your expectations. Do you love to decorate your windows with beautiful objects like pots, little plants, flowers, books or colorful dolls? A garden window is ideal for you. This style of windows protrudes outwards and offers you a wide ledge to use for decoration. If you value aesthetics, you should install at least one garden window in your house. Choose for it the corner that is most noticeable to passerby and visitors to your house to give your den an inviting feel. If you wish to modify your garden window a little, you can also make a cozy sitting area right in the window. The nook will become the most favored spot in your home! A double hung window is a kind of a sliding window that slides vertically up and down instead of sideways. It consists of two panel, both of which move up and down to let you open up as small a part of the window as you like. So, if you want to ventilate your room a little without letting in full on gusts of wind, a double hung window will let you do so effectively. 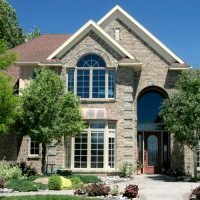 Santa Clarita Window Replacement Experts know the best techniques for fitting double hung windows. Approach us to give you the best quality double hung windows that last long. A single hung window is similar to a double hung window, except that instead of two, it has one sliding panel that slides up and down. Single hung windows are perfect for kitchens, bathrooms and small rooms. They occupy very little space and give complete functionality of a window. If you want a simple yet good-looking and tough single hung window installed, Santa Clarita Window Replacement Experts will do an impeccable job for you. Sliding windows slide horizontally. Normally, sliding windows comprise of one fixed panel and one sliding panel, but you can modify the sliding windows in your house to have more than one gliding panel. They are an excellent substitute for casement windows when the wall space for installing a window is sufficient but there is constricted space on the front and back of windows preventing a casement window to open fully. If your old windows are giving you trouble or no more fit in with the décor of your rooms, replace them with new and stylish sliding windows by Santa Clarita Window Replacement Experts. A bay window extends outwards from the wall it is installed on. It has two components called bays and bows. The main intention behind the outward extension of a bay window is to maximize your indoor living space by making it appear larger. In addition, it also affords you a better view of the outsides. Bay window is a very stylish window type, and the skilled fitters at Santa Clarita Window Replacement Experts can give your home a spectacular makeover through new bay windows. You can choose from a variety of designs and glass categories for your bay windows. Awning windows have the vintage appeal of an awning. There is a hinge at the top of the windowpane from which the window opens out just like a traditional awning. These windows are usually small in size and go well for small rooms and kitchens. You can choose a variety of materials for your awning windows – metal shutters, fiberglass, frosted glass etc. Santa Clarita Window Replacement Experts are the best choice of an agency for replacing your old windows with awning windows or to get them installed in your new house. We have years of experience in replacing windows and countless happy customers who do not hesitate a wee bit in recommending us to their family and friends. Picture window is undoubtedly the most beautiful window type, and should be your first choice if you are not very concerned about opening windows to let air in, since this is a fixed glass window type. Putting a picture window in your house is like merging the outdoors and the inside of your home as one big space at a visual level. A huge picture window in a portion of the house that opens up to a garden area or any other visually striking feature outside will add oodles of charm to your house. The window can start from a height of just one foot above ground level and extend nearly up to the ceiling. Put nice drapery around it and your living area will look irresistibly picturesque. At Santa Clarita Window Replacement Experts, we have windows in all popular material choices. Depending on your preference, available space, weather conditions and budget our professionals will guide you in making the right choice. Wood windows can mean anything from full wood shutter style windows, barn windows or windows with wooden grids with glass in between. They are the most traditional, warm and cozy window style and a lot of homeowners tend to prefer wood over any other material. If you have used wood generously in the rest of the elements of your home, like floors, shelves, furniture etc, it makes sense to blend your windows in by using the same material and similar type of wood for that matter. Santa Clarita Windows Replacement Experts have installed thousands of wood windows for their customers over the years and have subsequently won the reputation of being the most reliable window experts in Santa Clarita. 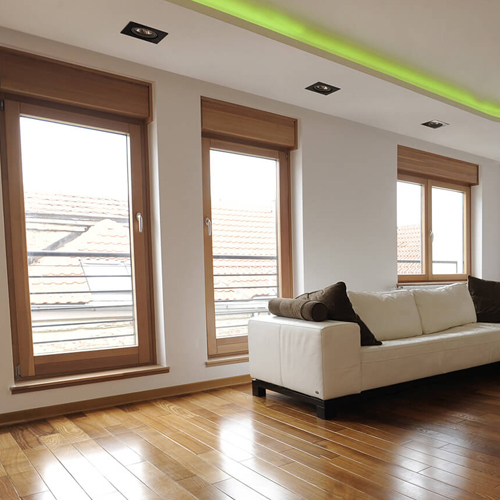 Those beautiful wood windows can cost you a lot more than their initial price owing to repeated maintenance expenses. If you want to prevent your wood windows from getting worn and demanding a re-polishing every few years, you can go for wood clad windows. These windows are clad on the outside with heavier and more durable materials like aluminum and vinyl. Cladding is generally done on the part of the window facing the exterior. If you want to keep both, your love for wood and the low-maintenance costs of vinyl, call Santa Clarita Window Replacement Experts to do a fantastic job on your windows. Vinyl windows are long lasting, cheap in terms of initial costs and require the least amount of maintenance. They do not need any polishing or painting ever; only a simple wash does the job of keeping them looking fresh. You can get vinyl windows in many different colors, including a wood finish that gets as close to the real wood look as possible. Santa Clarita Window Replacement Experts have the highest quality of vinyl windows available in the market. Our wood finish laminate for vinyl windows is so fine as to confuse the most discerning of your visitors. Aluminum windows are durable and extremely malleable. They can take the shape of almost any window frame. Like vinyl, aluminum too does not require any re-painting, and only a wash once in a year suffices to keep it shining. A good window fitting professional can make your aluminum windows look their best, while a bad fitting job can easily ruin the look of a window. At Santa Clarita Window Replacement Experts, we put in immense effort into ensuring that each of our installation or replacement jobs turn out perfectly. Fiberglass windows are incredibly strong and long lasting compared to all other window types including vinyl. Their initial cost indeed is a bit higher than some other materials, but you more than recover them in a few years’ time. Another favorable point about fiberglass is that you can paint it in just about any color and you can also change the color if you want to, unlike aluminum and vinyl which can be painted only once. Santa Clarita Window Replacement Experts are here at your service to give you highly customized fiberglass windows. Call us now and get a quote. Obscure glass has patterns etched on them. These patterns make your windows look nice and also prevent one from seeing clearly through them without blocking natural light. So if you want privacy without having to compromise on sunlight streaming in, obscure glass windows are just right for you. Santa Clarita Window Replacement Experts offer you a large catalogue of designs for obscure glass windows. Be it the entry door to your house, or the entry doors to the various rooms of your house, you ought to choose them wisely. Doors contribute significantly to the aesthetics of a home besides being of utmost importance for security and insulation functions. 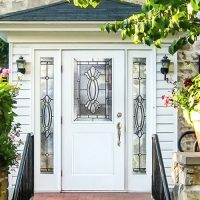 At Santa Clarita Window Replacement Experts, we provide you with a large variety of options in entry doors that you could install in your new home or replace your existing doors with. We choose the best quality materials, be it wood, metal or glass to give you the sturdiest and longest lasting entry doors for your house. The oldest door type of the world, a French door is one that swings on a hinge. The most common type of French doors is the one with a double panel. Depending on your personal sense of aesthetics and space considerations, you can go for a French door with two panels or a single panel. French doors are ideal for entrances, balconies and drawing rooms. A full glass French door with wood paneling looks very charming. And with the use of smart glass types like tempered glass, you can get a complete sense of security along with the beauty and view that glass French doors allow. Search from over hundreds of designs in French doors at Santa Clarita Window Replacement Experts and choose the one that matches your home décor style best. Sliding patio doors are space efficient and contemporary in design. You can get a small single moving panel sliding door or a wide one that gives a full view of the exterior surroundings. And the great part is, you can go as wide as you like without having to worry about any space restriction in front of or behind the doors. So even if you have a small balcony, you can still take up almost the full wall of your living room or bedroom for a glass sliding patio door to enjoy maximum sunlight and an uninterrupted view outside. You can even open up the sliding door whenever you like to blend indoor and outdoor spaces. Sliding patio doors can have anywhere from one to four panels. A four panel sliding door is ideal for living rooms if the wall that opens into the patio is wide enough. Install tempered glass in your sliding doors and it will render unexceptionable security against the elements or against breakins to your doors. Santa Clarita Window Replacement Experts as a huge collection of sliding patio doors by elite manufacturers. We also offer to take care of installations as well. Hundreds of home owners in Santa Clarita recommend our name to people seeking door and window installations. Whether you are looking for new doors and windows or you wish to replace your old ones, we give you delightful service tailored to your exact needs. Our fitters work with excellent efficiency and neatness. If you are worried about the mess that home renovation procedures such as this may cause, Santa Clarita Window Replacement Experts will change your opinion forever. Our organized approach of working will leave your home as clean as it was before, and will let us finish the job fast so you can quickly resume your routine. Our catalogues of doors and windows are not only large but contain designs that instantly strike the viewer as impressive. You can count on us to give you the best choice available in the market. Our expertise spans across a variety of categories and style – so whatever be your home’s persona, we will have the doors and windows to accessorize it perfectly! As a new homeowner, it is natural to be confused about what styles will suit you best. To help you choose judiciously, our experts are more than happy to talk to you about your home’s architecture, your choice of décor and your everyday needs at home. Our advice to you will be most thoughtful and genuine with only one motive in mind: to give you the best possible results. In the rare case that you are not fully satisfied by our service, we will redo it for you at no additional cost. We give full warranty against any faults resulting out of incorrect fitting of doors and windows. So if you are a first-time customer, you can try us out without worries – if it doesn’t work out, we will be the ones to lose. 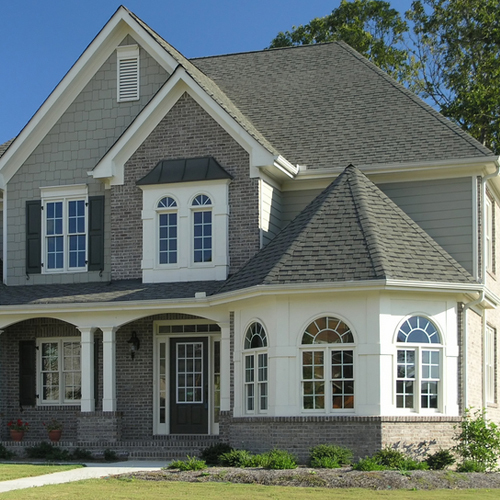 Call Santa Clarita Windows Experts for any type of assistance in windows and doors replacement. Our experts will first understand your needs and accordingly guide you in choosing the best doors and windows fitting for your home.